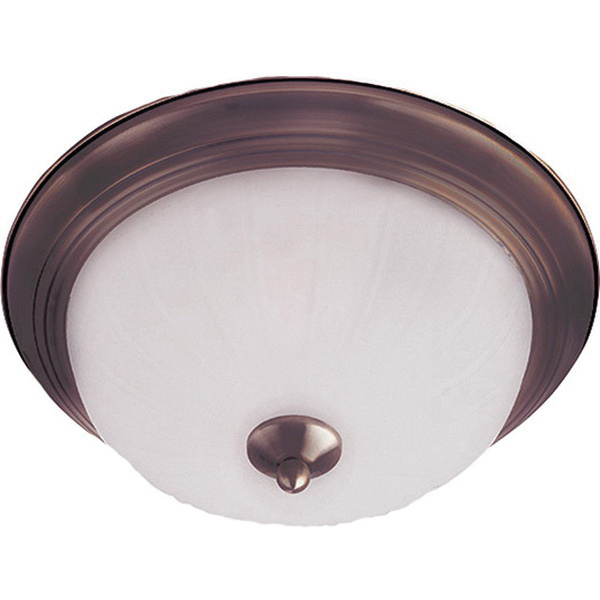 Maxim Lighting Essentials - 583x Collection 3-Light flush mount fixture in oil rubbed bronze finish, features steel construction. The frosted glass shade brings elegance to the home. This fixture uses three 60-Watt medium 2016-Lumens incandescent lamps that have voltage rating of 120-Volts. It measures 15.5-Inch x 6-Inch.